The games are expected to cost £750 million, making them the most expensive event since the Olympics in London in 2012. How did Birmingham win the Commonwealth Games bid? We look back at Birmingham's bid and how it won over the Commonwealth Games Federation with its campaign. 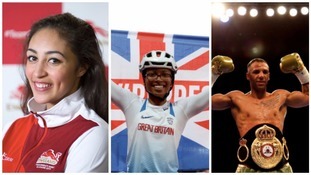 What impact will the Commonwealth Games have on the young people of Birmingham? Now that Birmingham has been confirmed as the host of the 2022 Commonwealth Games, how have young people of the city reacted to the news? How will this impact on them and what legacy will it leave them when the Games are over. Bringing the Commonwealth Games to Birmingham will help boost the profile of a city which should not just be recognised on a national scale, but deserves to be a name that resonates around the world. The city already boasts much of the infrastructure needed to put on an event of this size and scale, and to host the Games will be a real positive for all of us with a connection with this part of the world. The games are expected to cost £750 million.